Richard White, PhD, MPH, is a post-doctoral research fellow at the J. Craig Venter Institute. His research interests are focused on using high-throughput sequencing technologies to facilitate our understanding of infectious disease epidemiology, with a particular interest in identifying transmission of mobile genetic elements conferring antimicrobial resistance. His PhD thesis work focused on characterization of the bacterial Type II secretion system in Legionella pneumophila, the etiologic agent of Legionnaires’ disease. His MPH thesis work focused on identifying risk factors for mortality following in-patient hospital admission with carbapenem-resistant Acinetobacter baumannii. Dr. White possesses expertise in molecular, cellular, biochemical, and statistical approaches to solving population-based health problems. His Interdisciplinary training will allow him to address new and evolving challenges at the intersection of Public Health and Medicine. Originally from Atlanta, GA, Dr. White received a BA in Spanish and BS in biology in 2011 from Emory University. 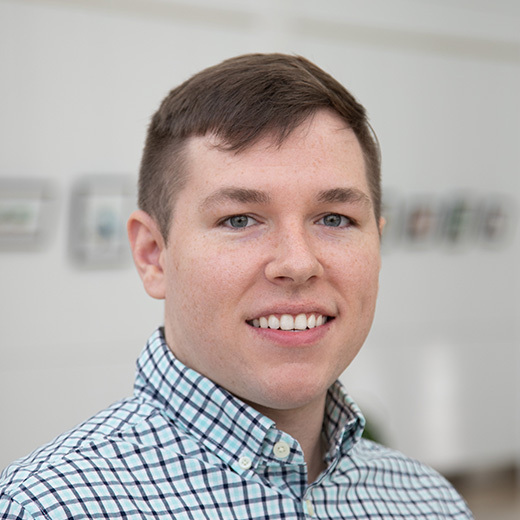 Prior to starting his graduate training, Dr. White conducted pharmaceutical research in the Department of Antivirals-HCV at Merck, Inc. in Kenilworth, NJ. Dr. White received his PhD in microbiology and MPH in 2018 from Northwestern University Feinberg School of Medicine. Type II Secretion-Dependent Aminopeptidase LapA and Acyltransferase PlaC Are Redundant for Nutrient Acquisition during Legionella pneumophila Intracellular Infection of Amoebas. Type II Secretion Substrates of Legionella pneumophila Translocate Out of the Pathogen-Occupied Vacuole via a Semipermeable Membrane. Expanding Role of Type II Secretion in Bacterial Pathogenesis and Beyond. Type II Secretion Is Necessary for Optimal Association of the Legionella-Containing Vacuole with Macrophage Rab1B but Enhances Intracellular Replication Mainly by Rab1B-Independent Mechanisms. Infection and immunity. 2016-12-01; 84.12: 3313-3327. Stenotrophomonas maltophilia encodes a type II protein secretion system that promotes detrimental effects on lung epithelial cells. Infection and immunity. 2013-09-01; 81.9: 3210-9.
p53 and mitochondrial DNA: their role in mitochondrial homeostasis and toxicity of antiretrovirals. The American journal of pathology. 2012-06-01; 180.6: 2276-83.